IPM+ for PCI is a multi US patented software running successfully in several fortune 500 enterprise saving up to 50% of energy consumption in Personal Computing Infrastructure (PCI). IPM+ works seamlessly on all flavours of Windows and Linux. IPM+ Enterprise Console is a web based console application that can be accessed on a browser. A breakthrough innovation to enable upto 50% extra battery life in laptops and energy savings in your personal computer, IPM+ works seamlessly on Windows (XP, Vista, 7, 8, 8.1 and 10) and Linux (RedHat, CentOS, Ubuntu, Fedora, SUSE and Oracle). IPM+ intelligently enables fine-grained power optimizations through its proprietary algorithms and enables savings in a non-intrusive and fully automated manner. IPM+ is based on technology with 3 comprehensive US patents built-in and 2 patent applications pending to achieve savings of up to 50%. The patents cover Fine grain, non-intrusive power management, peak power management, sustainability dashboard, adaptive and predictive power management. Patent pending PowerMind is a Deep learning engine that helps in smart self-tuning of power schemes each PC/User level based on context and usage pattern over time. The result is maximization of savings without management intervention and overhead. In large deployments, you can define self-adapting Smart power schemes driven by user defined rules using PC resources utilization parameters , group/business/application attributes. Big 5 certified patented Software Energy meter with >90% accuracy has been verified against highly accurate Hardware energy meters in real-user enterprise environments. 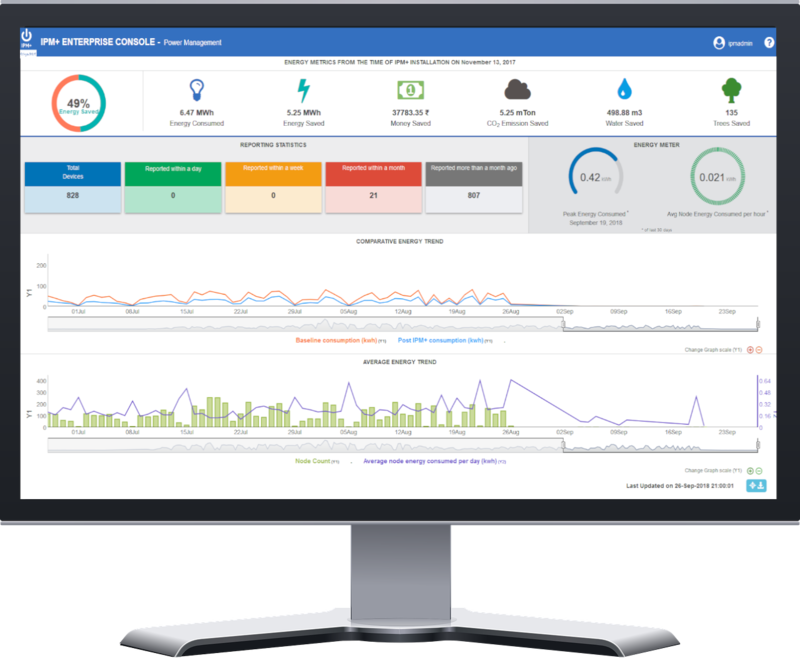 Using this feature, IPM+ accurately predicts energy consumed, saved accurately so that enterprises can be sure of their ROI. IPM+ allows a mix of PCs with different OSes running without any complexity in power management. IPM+ is supported across all versions and editions of Windows from XP onwards. Get full feature support on XP, Vista, 7, 8, 8.1 and 10. IPM+ is certified on Windows 7, Windows 8, Windows 8.1 and Windows 10. IPM+ is supported on different versions of Linux such as Ubuntu, Redhat, CentOS. 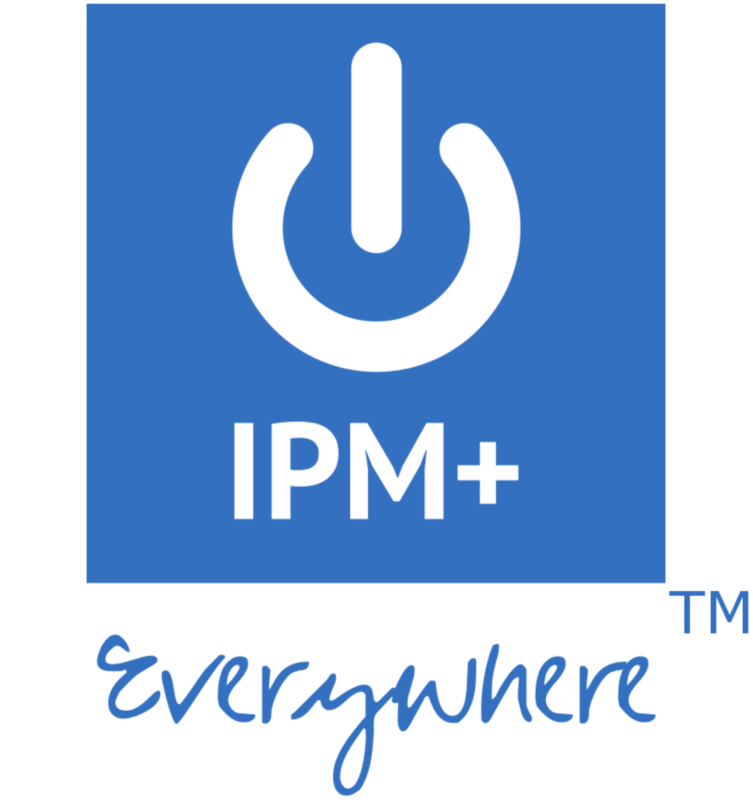 IPM+ comes built-in with power policies or schemes to enable you achieve optimal power savings to different user groups. You could customize them to actual needs through the power policy editor and scheduler. Scheduling helps you to enable different power policies for different times of the day and days of the week for non-intrusive, optimal power savings. IPM+ technology enables fine-grained, non-intrusive power management. IPM+ senses “applications” and optimizes power according to needs of each application. By being context aware and by intelligently managing power in PC components and their states, IPM+ helps you save energy even when you are using the system. Such high savings are proven in Fortune 500 production deployments. Actual users with their diverse usage patterns, are unaware of IPM+ running on their systems. IPM+ has a very low footprint and hardly uses PC resources. IPM+ comes with solid Security audited and verified, Proven Business Continuity and Disaster Recovery features (BCP/DR) and excellent performance with one of the best server footprints. The server or Enterprise Console is a ready-to-go BSD VM that can run on VMware or Azure or IBM Bluemix hosts. IPM+ works the same way with Microsoft Windows or Linux flavours and easily deployed using AD or any patch management tool. It can be hosted within the enterprise or cloud hosted. IPM+ currently runs 24x7x365 with BCP/DR in a Fortune 500 enterprise with nearly 250,000 PCs processing 10 million events per day, all with minimum resources both at PC level and server level. IPM+ comes with excellent diagnostics features to ensure proper utilization and reporting of PCs.